I’m deep into Marshmallow Time. For the past few years, I’ve spent the end of the calendar year like a mad scientist for charity, covered in marshmallow cream. I make inordinate amounts of marshmallows, and sell them “bake sale style”, with the proceeds going to our local mama’s group and their Giving Tree. 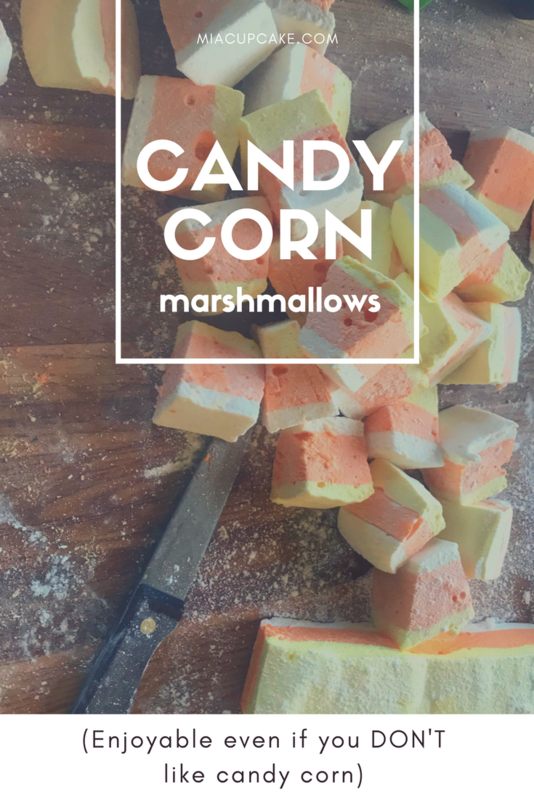 With my kitchen covered in a mixture of powdered sugar, gel food coloring and marshmallow goop, and my friends and family riding proper sugar highs after FIVE test batches of these, I have finally perfected the CANDY CORN MARSHMALLOW. After much hemming and hawing and an episode where I had to clean yellow marshmallow off the kitchen ceiling, I have boiled it down to the minimal amount of kitchen equipment necessary. Trust me – I don’t like to do dishes. The fewer number of bowls, the better. So the basic recipe can be found down at the bottom of this post, but the tricky part you want to know is how to assemble these beauties. Bring your prepared 9×11 dish over to the bowl area, and get your mise en place ready to rock. 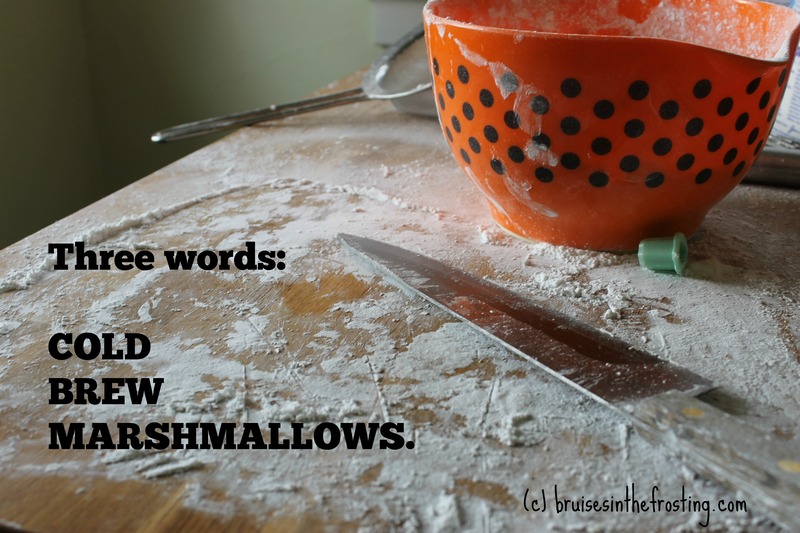 You need to move fairly quickly, as the marshmallow starts to set up when you stop mixing. Spoon several spoonfuls of the marshmallow (with no coloring) into the prepared dish. Cover the bottom, and make sure it’s spread out, and all the way up to the edges. This is the white base of your candy corn (the point of the triangle). Here’s where it gets tricky. Divide the remaining mixture up, with about 1/3 going into your extra bowl. Use your gel coloring and color the smaller amount yellow. The larger amount still in the mixer bowl should get colored orange. 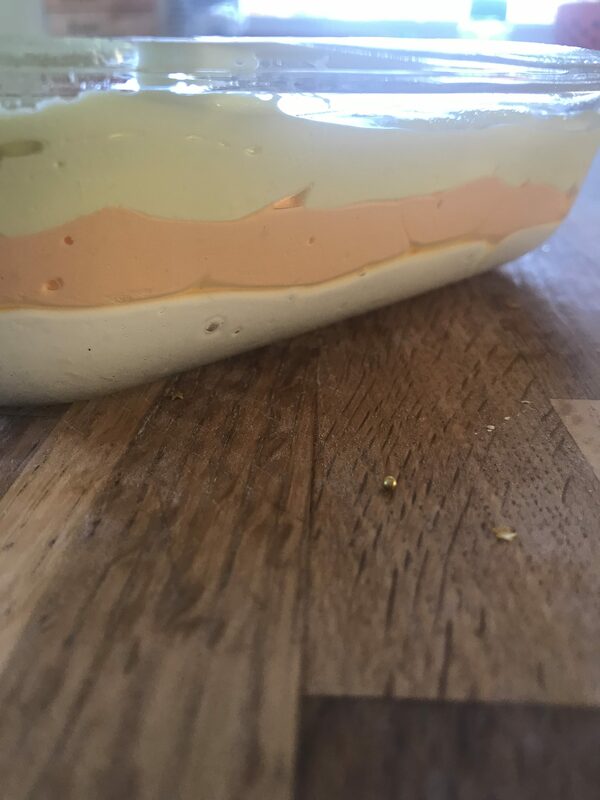 Make sure you are scraping all the way down to the bottom of the bowl to get the color as homogenous as you can! Orange is your middle layer. Pour the orange into the bowl slowly, starting in the middle and working your way out to the edges. Using your damp spatula, smooth it out the best you can, and smooth it all the way to the edges. Yellow on top! I found that drizzling the yellow on the top is the easiest way to get maximum coverage with minimal mixing of the colors. Again, use a damp spatula to smooth the top. Let sit for at least 4 hours (overnight is best). Turn out onto the prepared surface (as outlined in the recipe below) and cut into thick strips. Cut those strips into triangles and ENJOY! 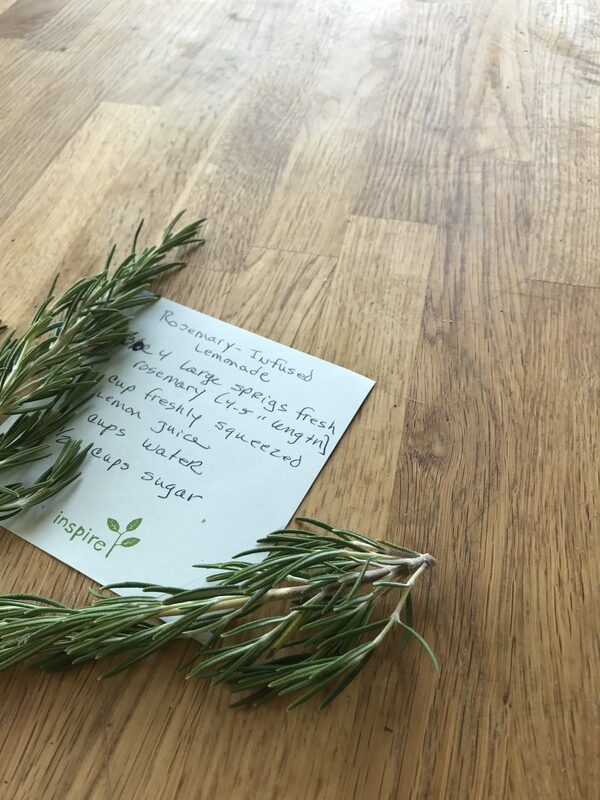 I always love to see y’all making my recipes on social media, so tag me in your photos! 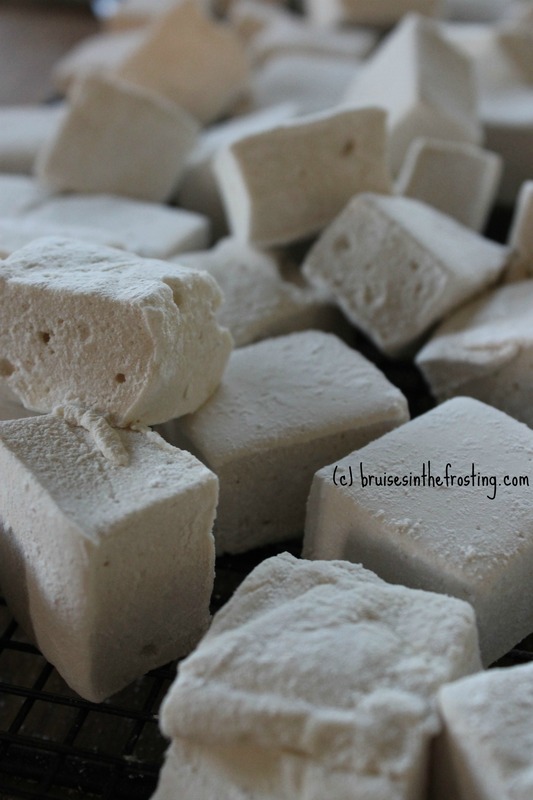 Basic Marshmallows - can be dressed up for any holiday! Get your 9×11 baking dish (I used an 8×10 for taller marshmallows). Line it with aluminum foil, then spray that foil lightly with baking spray. Set aside. Increase heat to medium, clip a candy thermometer to the side of the pot and keep an eye on your pot. 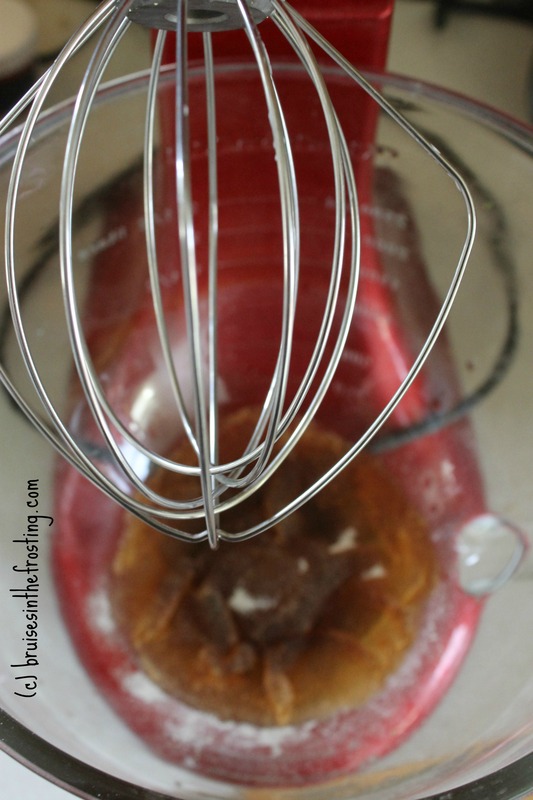 Start the mixer on low, and pour the sugar syrup in a slow steady stream down the side of the bowl. While this is beating, get a spatula and a glass of water and set it up next to your prepared dish. 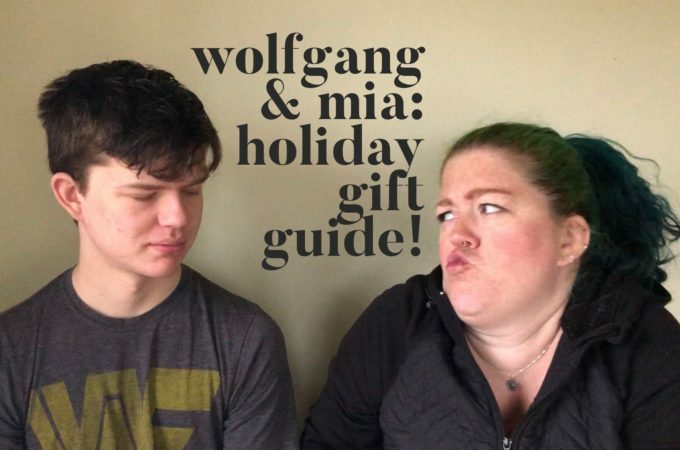 This post does contain affiliate links, meaning if you click them to buy something, you do not get charged anything extra but I do get some extra coin to put towards more glitter, more cookie cutters and more books! 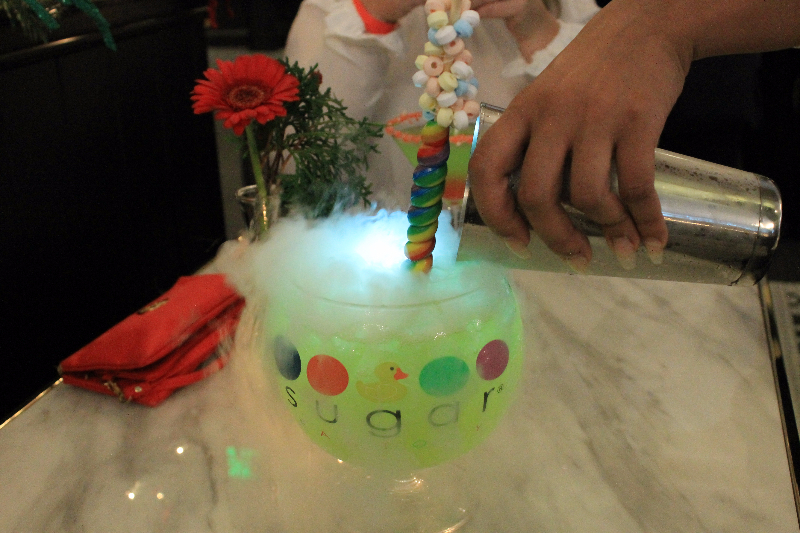 Thanks to Sugar Factory for hosting us for this amazing event! 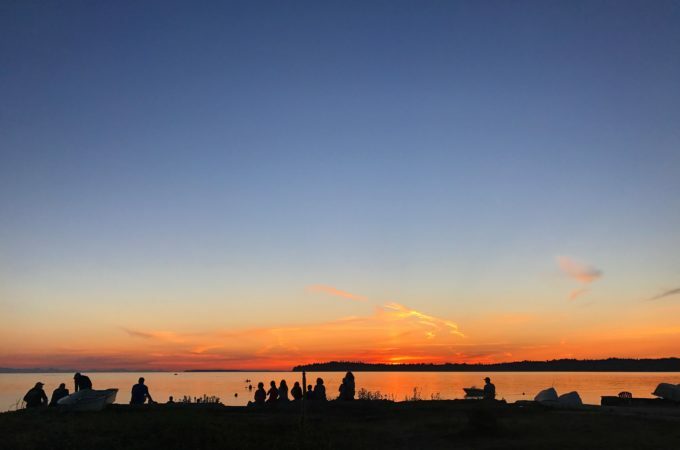 I don’t go into Seattle very often for events. It’s a 3 hour round trip from home if the traffic goes my way, and I’m not always into making that jaunt for an event that will last less time than my drive there. But occasionally, something lands in my inbox that’s hard to ignore….and this past Wednesday was one of those events. 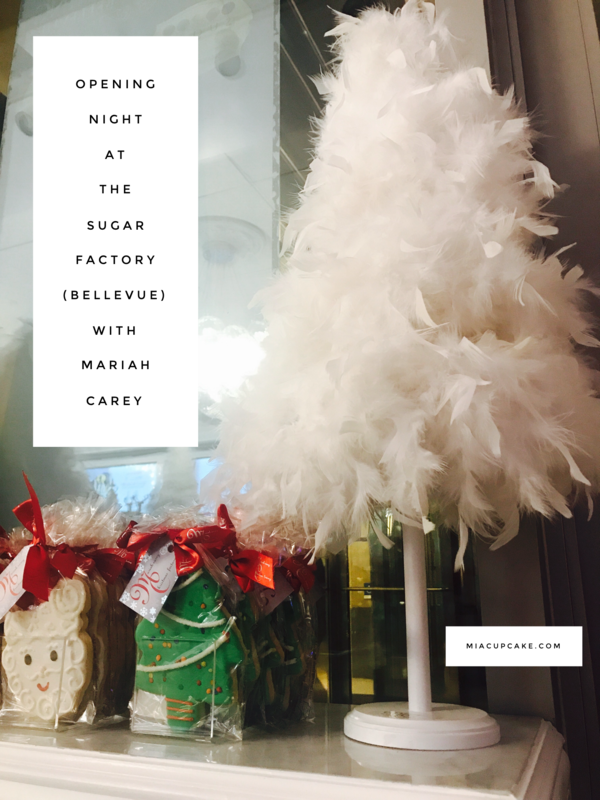 When we walked into the Sugar Factory at the Shops at Bravern in Bellevue, WA that late summer evening, we basically stepped into a Christmas wonderland. Beautiful wreaths and swags everywhere, a stunning white-flocked Christmas tree and SANTA was there. Obviously I live under a rock, as I seem to be the only person who DIDN’T know that the Sugar Factory was a restaurant. I just assumed that we would be hanging out in a giant candy store (and was completely satisfied with this idea). I was only slightly wrong. An extremely polite hostess led us down the black-and-white subway-tiled floor to a booth in the corner. The walls are all paneled with dark wood and red accents and hung with beautiful black and white photographs; the banquettes upholstered with black vinyl. And rubber ducks are EVERYWHERE, as they’re the logo for the company. There’s a huge mirrored one in the candy shop at the entrance, scattered throughout the restaurant on the short walls between the booths, and they make appearances on glassware and napkins and the menus. Speaking of menus, try not to be intimidated by the massive book they hand you when you visit the Sugar Factory. It’s spiral bound, laminated and at least a half inch thick. Luckily, our waitress Madeline was pretty savvy and when we told her to “surprise us”, she hit the nail on the head. She brought us huge drinks in goblets of candy and dry ice and color, and we made friends with the wait staff, so we had a constant stream of appetizers. Sliders with “Sugar Factory Special Sauce” and the bruschetta were good, the Chicken Satay was OK (a little on the chewy side) but the Macaroni and Cheese Pops…oh man. They were crunchy and cheesy and thank you (no thank you, I ate 3 of them) to DJ the waiter for passing them by our table every time they came out of the kitchen. The restaurant filled up with so many beautiful people, it was astounding. My friend Sharon from Parenting Geekly was there, along with a few people I recognized from television and a guy I follow on Instagram. 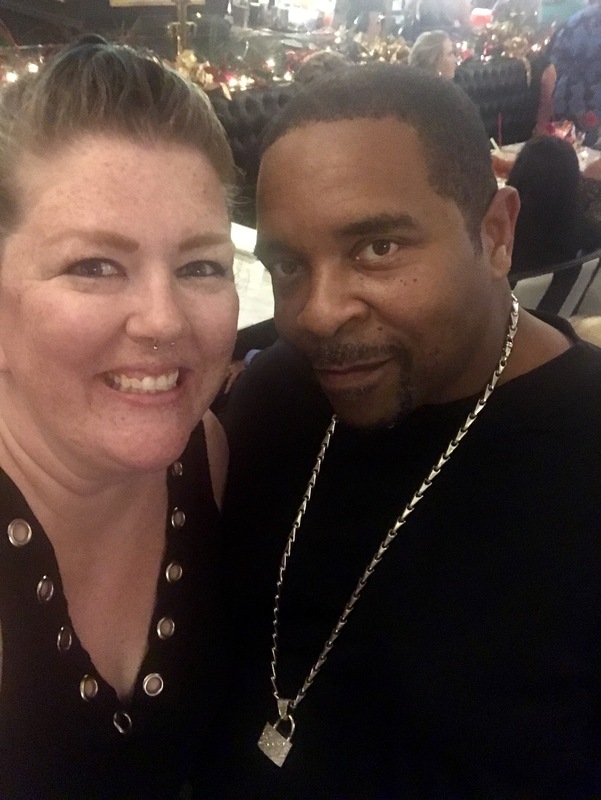 Everyone was dressed to impress – even Sir Mix a Lot was there! Oh…and since it was Christmas-themed, Santa was there too! So other than the grand opening of the Sugar Factory (which was a pretty huge event in and of itself), Mariah Carey also happened to be launching her Christmas collection, with over 100 items. 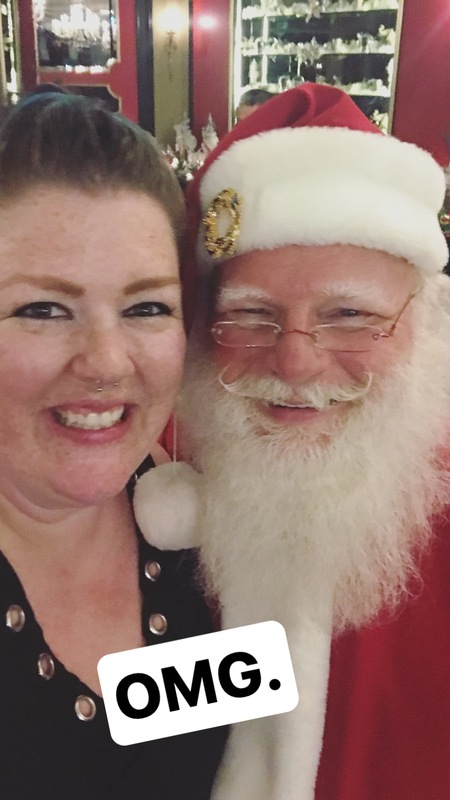 That adorable white feather boa tree in the first photo in this post is in her Christmas line available at the Sugar Factory, along with some adorable cupcake and donut ornaments (that I TOTALLY MISSED, but Ashli bought! 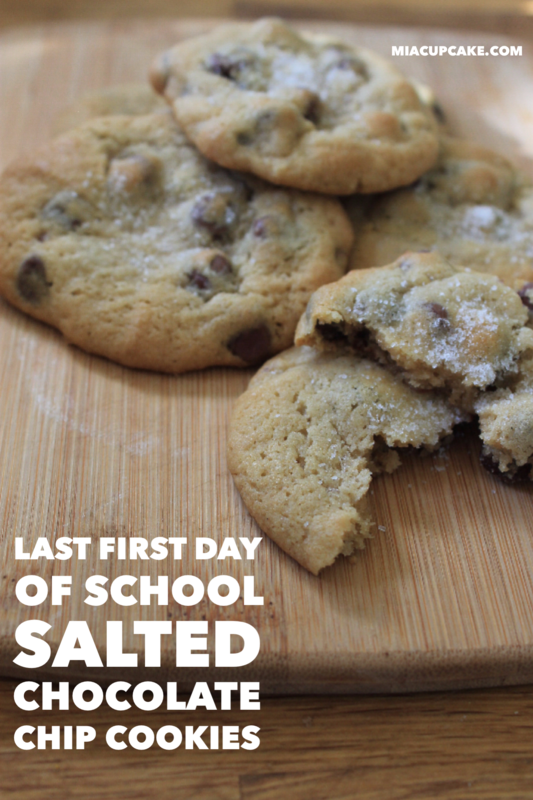 ), custom Mariah Carey cookies, caramel corn and so much more. We were so engrossed in our enormous smoking drinks and the adorable tree dressed up for the occasion, that we nearly missed the entrance of Mariah Carey. Now, I don’t really hang out in the same space as celebrities. 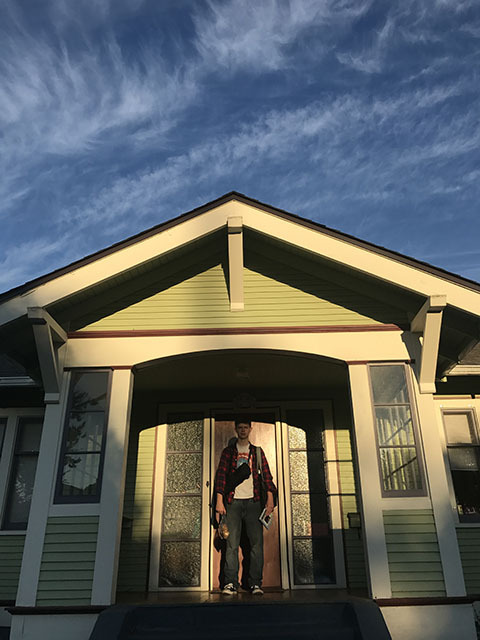 We have a couple of local ones here in Bellingham and they’re pretty low key and nobody flips out when any of them happen to be in the area. 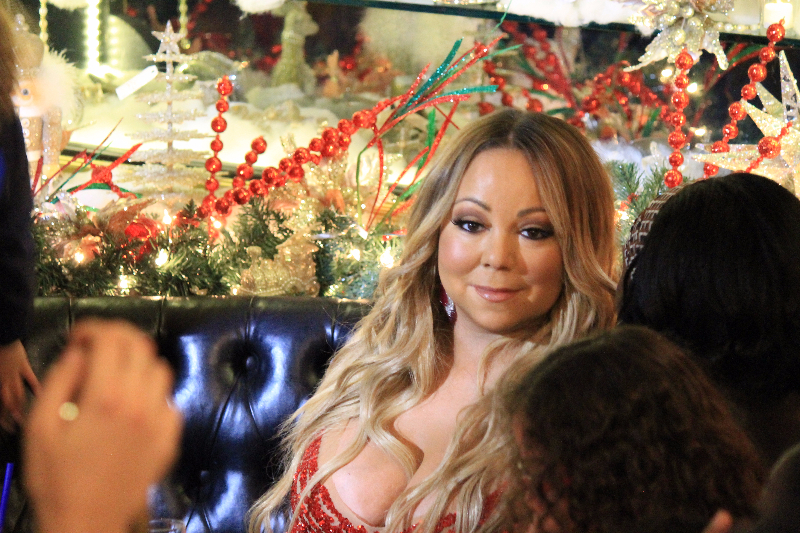 Mariah Carey entered the room and she’s like the sun. Nearly every face turned towards her, and they should because she’s lovely. I managed to catch just a few shots of her as she sat in the booth with her adorable children and her sweet boyfriend, and then we had to head home. But what a night! 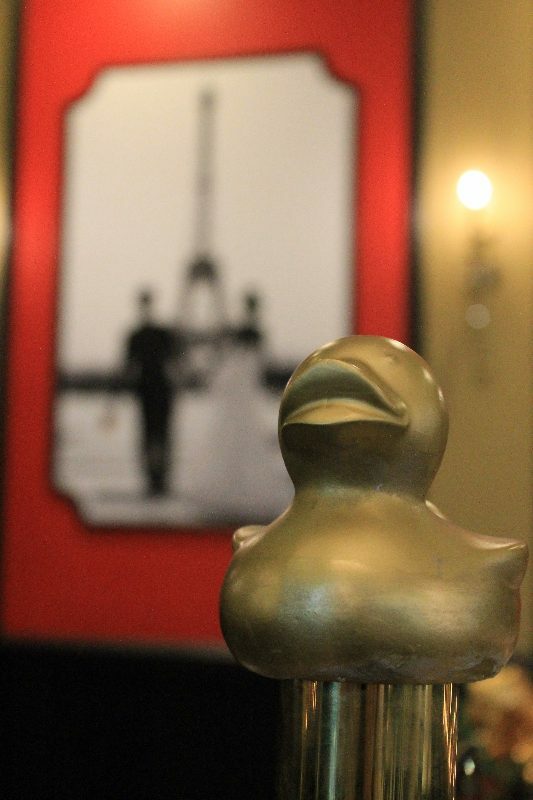 Sugar and celebrities and rubber duckies and so many fun things. Thank you to the Sugar Factory for having us and to Ashli for being my +1! To see the post this belongs to (and the story behind these cookies), please click here. Add the flour, salt and baking soda in a bowl. Set the mixture aside. In the bowl of your mixer (or using a wooden spoon), beat the sticks of butter until they are pale. Add each of the sugars (one at a time) and beat until combined. Slowly (and using a low speed on your mixer) add the flour bit by bit until it’s combined, then mix in the chocolate chips. Chill dough in the fridge for at least 15 minutes, but no longer than 45. You want it pliable, but not rock hard. 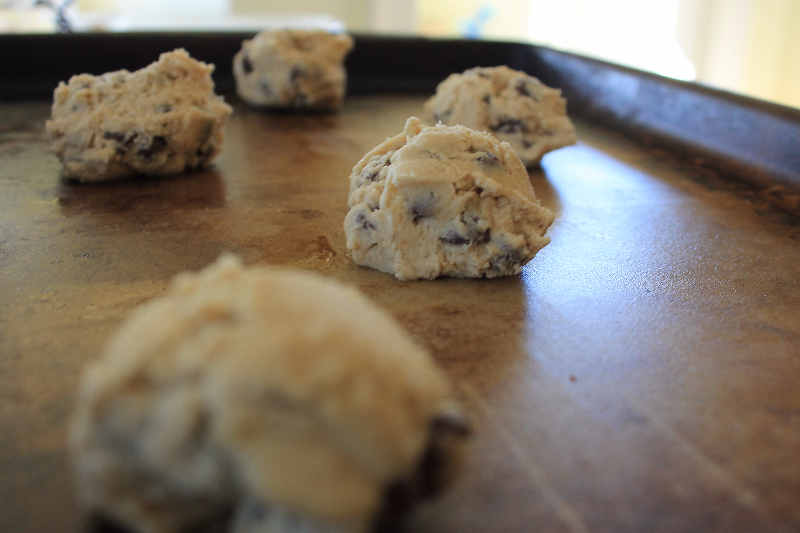 Bake for 9 minutes, or until edges are just browned. 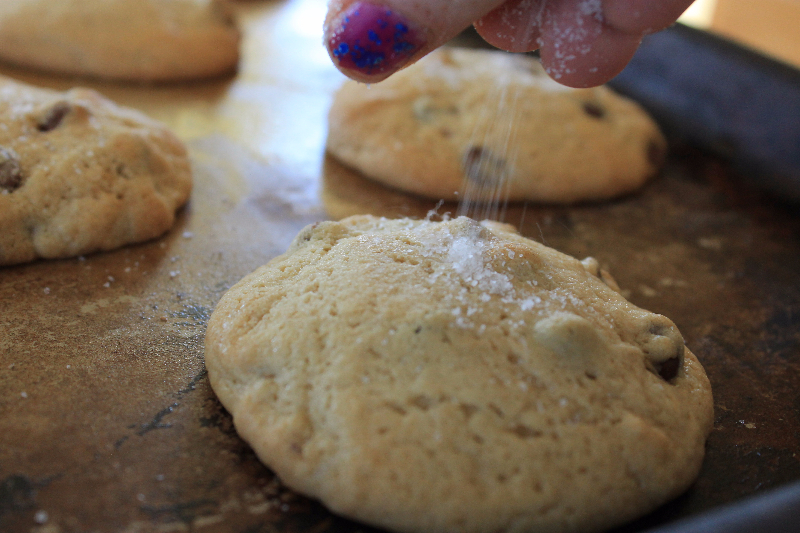 Remove from oven and sprinkle small amount of flaky salt on top of your cookies immediately. 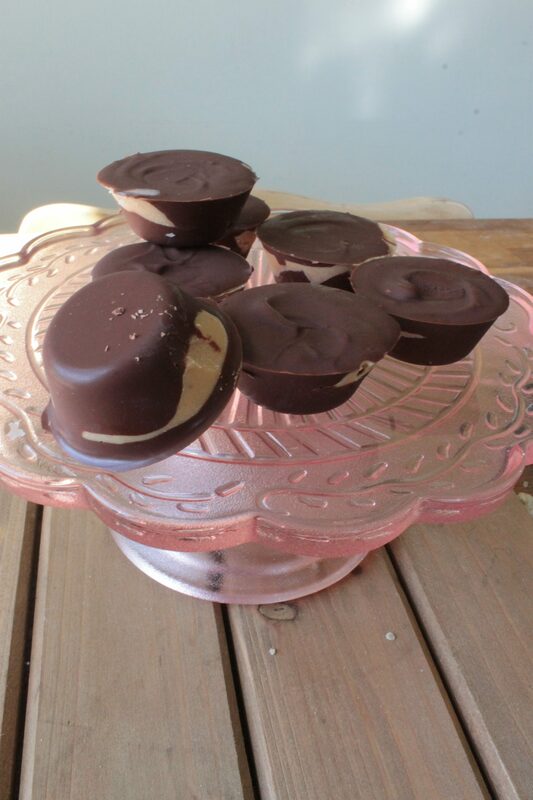 Try and let them cool before you eat them. “If she likes you, she will share her food with you.” I overheard Wolfgang saying that to someone a few months ago. I thought Wolfgang’s statement was silly at first, very “JOEY DOESN’T SHARE FOOD”. But the more I thought about it, the more I realized that he was right. It was doubly confirmed a few days later as I was berry picking with a friend who was asking questions about my blog. I mentioned I had written a post about Game of Thrones and she looked super confused. 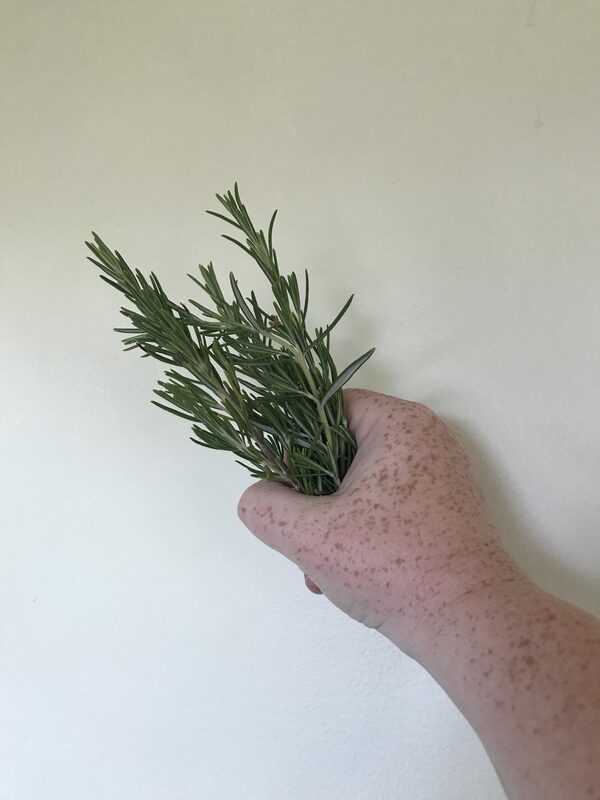 “Why would a food blogger write about Game of Thrones?” she asked. Both she and Wolfgang were right. Blogging only makes sense to me when I’m writing about food. If I like you, I will go out of my way to get you fed. I will share my homemade cookies. 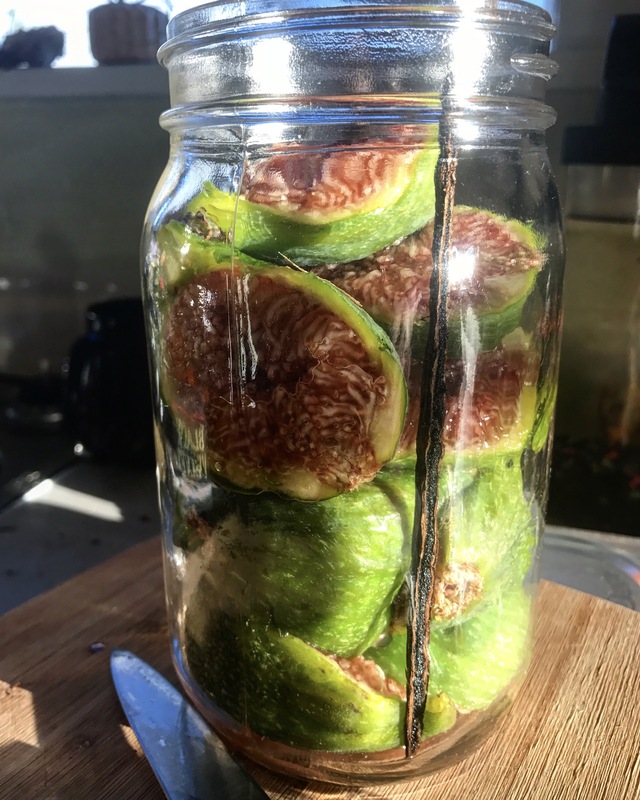 I will give you some of my homemade fig jam. I will offer you salmon bone broth. 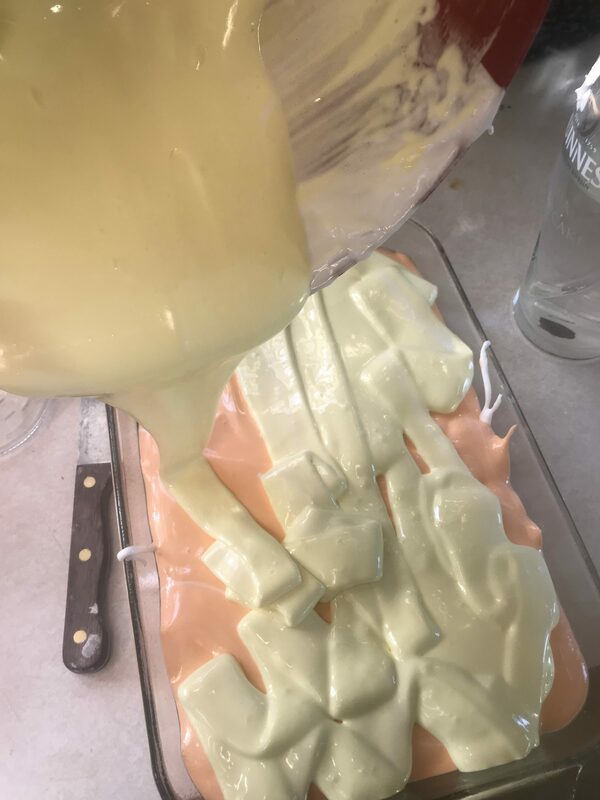 I will learn how to make those trendy drip cakes last minute for your dessert auction, while sobbing and watching a YouTube tutorial. I will agree to make your wedding cake (that’s a big one, because I had a bad experience. Don’t ask). I own more cookbooks than any one non-chef-person should. I have 2 bookshelves full and I’m pretty sure there are still some out in storage in our shed. That’s how my life works. If I love you, I will feed you. 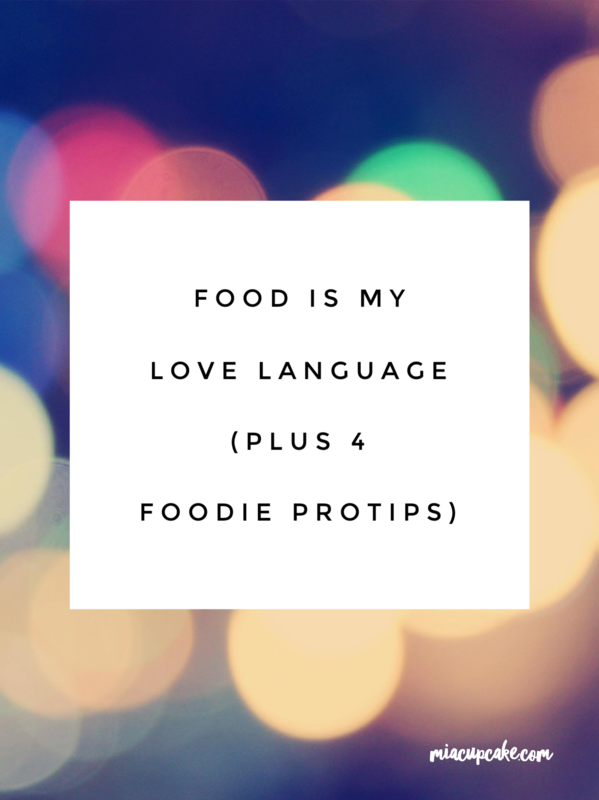 Food and making people happy with the culinary concoctions I create: that’s my love language. I will spend hours reading about your favorite food so I know exactly how to cook it. I will make homemade chocolate chip cookies right before we leave for a movie AND bring my big purse, so they’re still warm when we sneak them in. 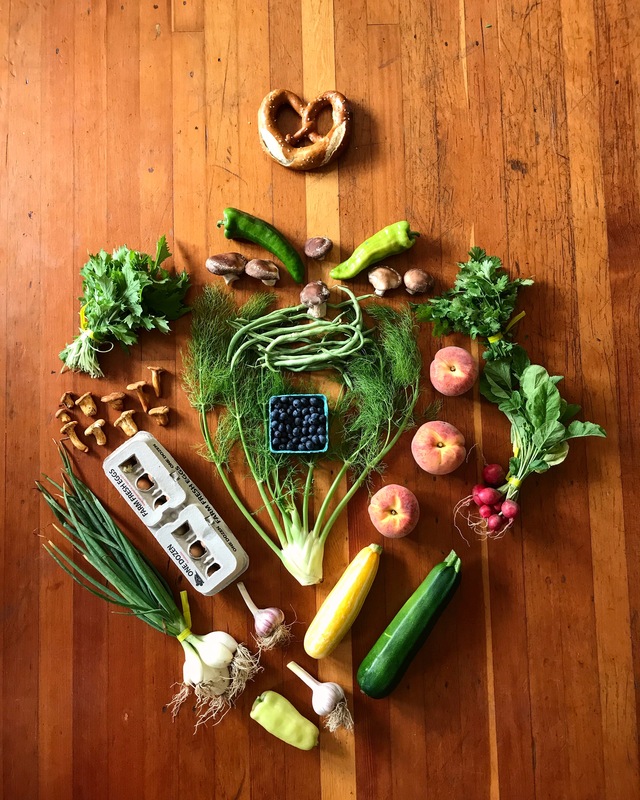 I will spend my precious little time in the kitchen creating something wonderful for you. And I suppressed that joy of cooking (ha) for a really long time. I tried to stuff that part of me way down deep because I thought it was too much for me to enjoy making food. That may stem from my last relationship, which was with an incredibly talented chef, I don’t know. I may have tried to punish myself for some unknown wrong by denying myself the things I enjoyed. 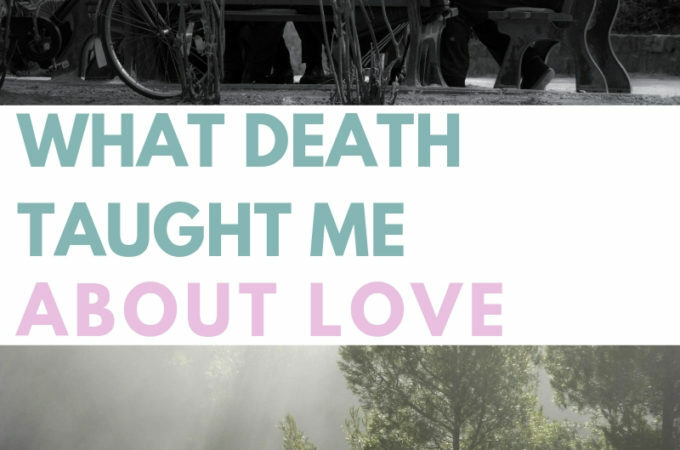 I suppressed my love language while I tried to heal myself without it, which threw everything else out of whack. Now, I’ve tried for the last few months to be a “healthy living, self-help blogger”. But my heart isn’t in it. I’ve been trying to be like someone else, and it’s no longer working for me (if it was ever working at all?). I would love to talk all day about matcha, but I want to make matcha chocolate mousse or a matcha frosting. I want to taste what happens when you sprinkle matcha over macarons. I want to research matcha and figure out what foods I can combine it with. I want to make a matcha marshmallow! I love sharing my life with y’all, but I have to do it through food. That’s how I roll. So we are shifting gears slightly, and moving away from self-help posts and “healthy living” posts. If you like those types of posts, I highly recommend my friend Autumn’s blog, or my friend Carleeh’s blog. Self help, self love and healthy living is definitely their thing. Here, we are going to keep the fun travel posts like this Disneyland one, and we are going to keep the “local love” posts. Maybe the occasional “how’s it going in the Cupcake household” posts. But everything else is going to shift. The central point of Mia Cupcake, both me as a person and the blog as an entity, has always been food and if I try to convince you otherwise, I am straight up lying. Infused sugars. I use old Vital Proteins collagen peptides canisters, and layer in sugar with vanilla beans (after I’ve scraped their innards into cookies or jams or what have you.) I’ve also used (dried!) 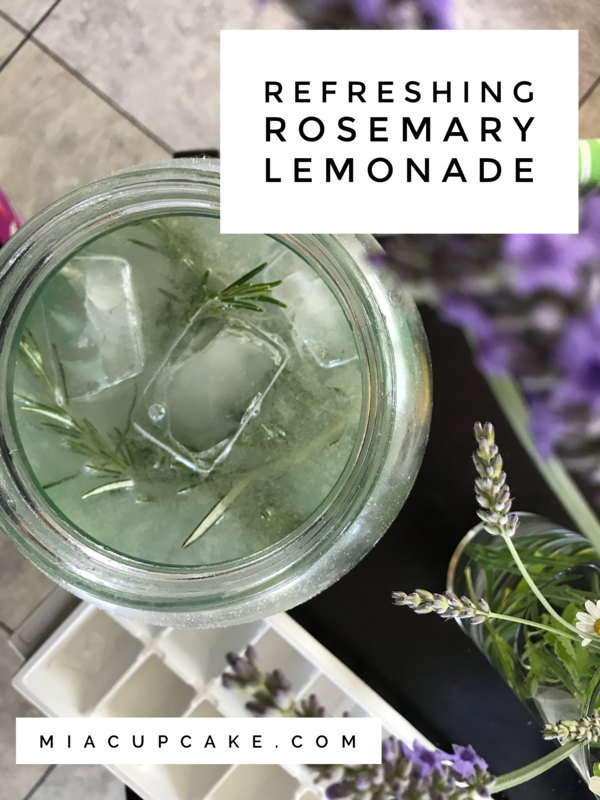 lavender blossoms, lemon zest and mint leaves! Infused finishing salts. Have a recipe that calls for lemon juice, but not lemon zest? Get half of a cup of fine sea salt and a jar, and zest that lemon before you squeeze the juice out. Add the lemon to the sea salt and rub it in with your fingers. Store in an airtight container and use to finish up fish, or chicken by sprinkling a TINY BIT on top before serving. Taste your food. This seems like a no-brainer, but you always see that one guy on the cooking shows that has an absolutely stunning dish (despite having to cook with plastic utensils while wearing a sumo suit and singing showtunes or something) but it’s SO BLAND because he didn’t take the time to taste his food. Food doesn’t have to be scary, and it can be something that shows how you feel about someone. I have included a few affiliate links in this post. Clicking them won’t cost you any additional $$, and help keep the Cupcake Haus in frosting, glitter and fancy pens. SHOCKING, I know. But I’m getting older. I told someone yesterday that I was 32 because I honestly thought that’s how old I was. Only off by 2 years. Wait….no….6! OMG, is that right? But sometimes, my brain doesn’t function right. I have bad brain days, and I have good brain days. On bad brain days, I describe people like “that one dude we went to see that movie with when Wolfgang was little, but not super little and it rained” because I can’t remember their names. Or I mix up words. There’s nothing wrong with me, I’ve had everything checked. I’m functionally healthy. I just get tired and my brain takes a nap and lets my mouth run by itself. That’s not a good thing. So I went internet-hunting. 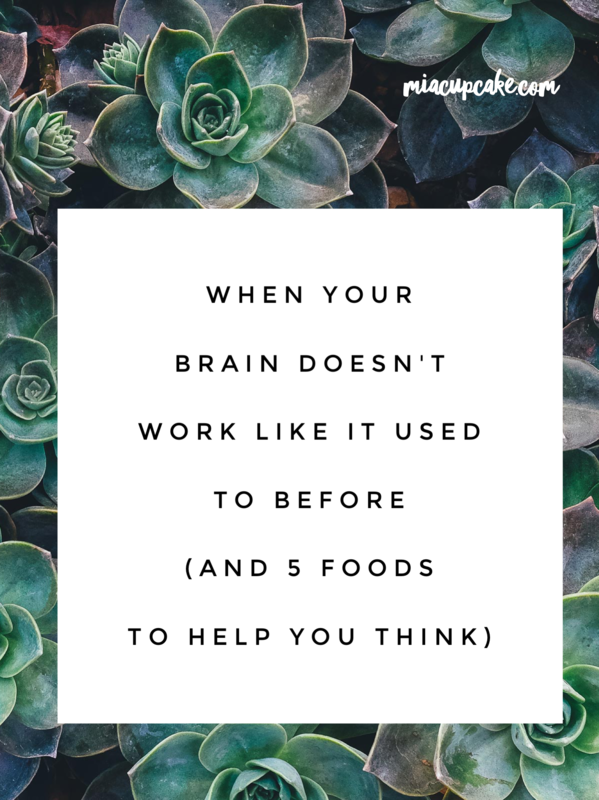 I don’t want to take a whole mess of supplements if I don’t have to, I would rather try eating more good foods (that are not liver) and try to help boost my brain in a way that doesn’t require me to remember to swallow a bunch of pills. Blueberries. Stuffed with something called gallic acid, which helps protect brains from stress and breakdown. Avocados. Low sugar content, and highest protein of any fruit! (weird, right?) Chock full of “good fats” and vitamin K to help keep prevent blood clots. 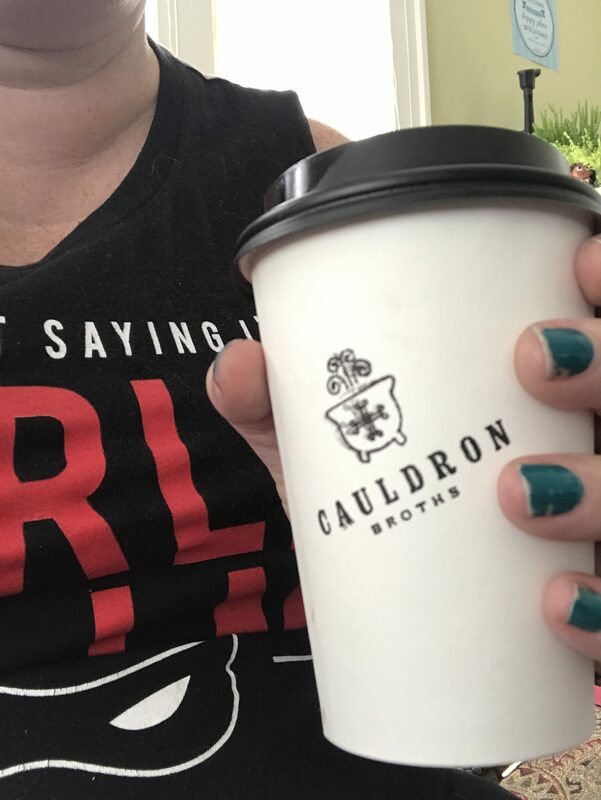 Bone Broth. Full of collagen, which helps boost your memory skills and keeps your immune system running on all cylinders. Dark Chocolate. The darker, the better. 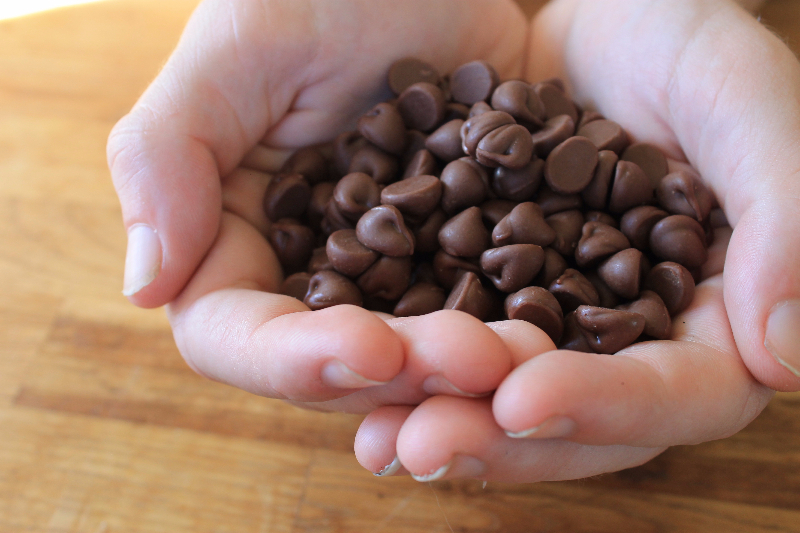 Skip the sugared kinds, you want almost too dark to eat. It’s full of flavanols, which help blood flow to the heart AND the brain. So far, it’s only been a week (and I’m on the Whole30 too, so no chocolate quite yet), but I feel like I’m finding my words a little better and I’m a little quicker on the uptake. With s’more season coming, these will be perfect for camping trips, or just backyard fire pits! This was originally posted on Bruises in the Frosting on 12/12/2016. I have been dragging my feet on posting this recipe. I came up with the idea about 3 weeks ago and emailed my buddy Kevin over at Vital Proteins to see if they would send me some gelatin. He sent me a nice big container and I went RIGHT to work. The packing box was still on the kitchen floor when I was smoothing the top of my first batch. 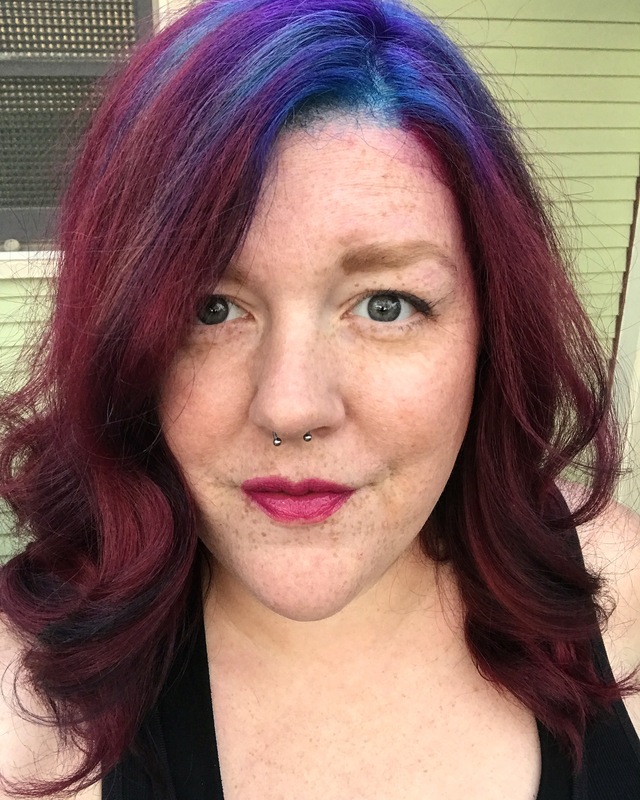 I knocked out 3-4 batches while working a launch at my “muggle job” and dealing with Thanksgiving planning and the 8000 other things I do every day…. and handed each of those marshmallows (but one) out to my friends and neighbors. I woke up at 5am 3 days in a row to slice up a batch I had made the night before. Wolfgang is no longer surprised to see me up, awake, wearing my lipstick and knocking around the kitchen when he stumbles upstairs on his way to jazz band at 6am. After that initial flurry, I didn’t make marshmallows for a week. The previous batches weren’t good enough. My friends were RAVING about them and demanding more, but I was convinced that they were not up to par for the blog. A friend sent me an email, knowing perfectly well what my issue was. She gets me. She said that she knew I was questioning my marshmallow powers, but her husband got angry at her when she brought my marshmallows home because he thought that she had bought those “expensive artisan marshmallows” from the local grocery. This guy is a picky man, so the fact he assumed my marshmallows were on that level helped shake me out of my Impostor Syndrome. So then I made 13 more batches of different flavors of marshmallows and sold those to benefit our local mama group’s Giving Tree. And now I finally think my recipe is good enough to share with you. Please make sure you read the whole recipe before you start. There are a few steps where you have to have your mise en place or you’re going to get held up! Watch the boil on your syrup. Something in the cold brew makes this boil up bigger and faster than the regular vanilla marshmallows. It may smell a little odd as you’re boiling down the syrup. That’s normal. No, your marshmallows will taste nothing like that smell. Yes, you can use the cold brew concentrate from Trader Joe’s or cold brew from Starbucks. IF you get the kind from Starbucks, please make sure to ask for a tall size with no sweetener, no milk, no ice and no water. You want just their concentrate. 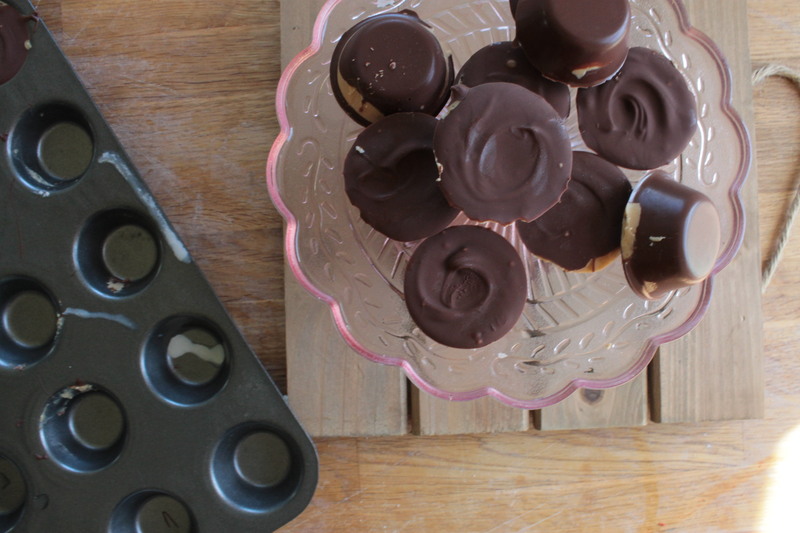 Yes, you CAN use a hand mixer, but you’ll be standing there forever. If you can get your hands on a stand mixer, it will make your life so much easier. 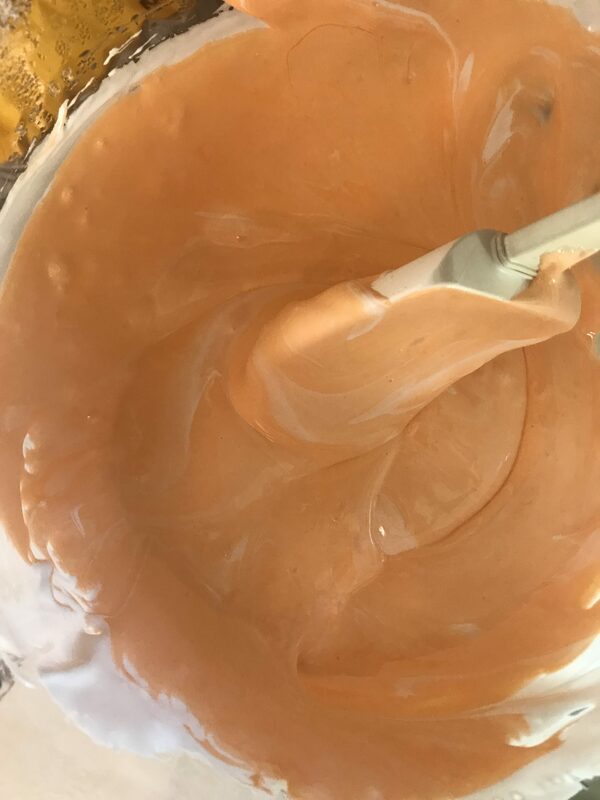 If you want to make plain marshmallows, replace the cold brew with water and add 1/2 teaspoon of vanilla extract just after you finish pouring the syrup in your stand mixer, before you increase the speed of the mixer. Pour half of the cold brew into a bowl fitted on your stand mixer. Sprinkle your gelatin over the cold brew and set aside. Combine the remainder of the cold brew plus the sugar, salt and corn syrup in a medium saucepan over low heat. Stir until sugar dissolves. And BOOM! 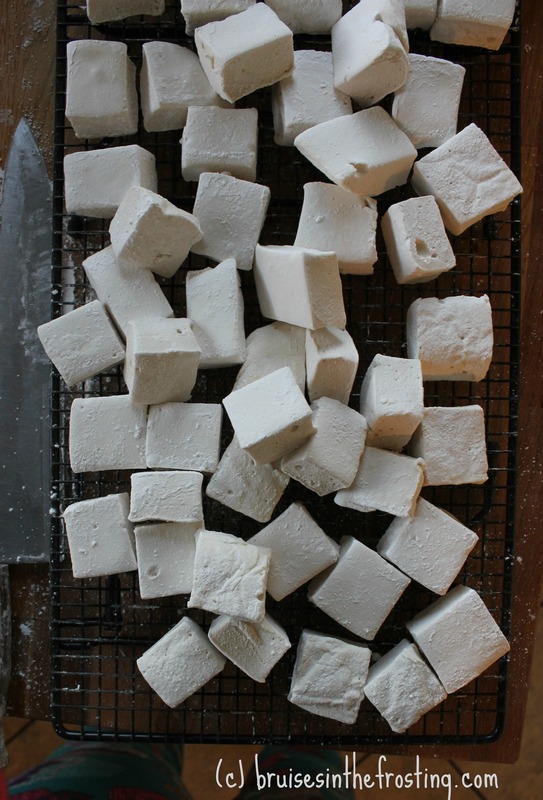 You’ve got cold brew marshmallows.